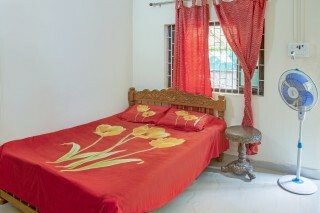 Located in Anjuna, this is an offering of a reasonably priced and modestly furnished three-bedroom apartment that can accommodate up to five people. 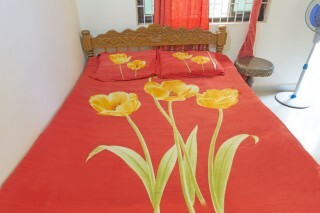 Two rooms in the apartment house comfortable double beds and one has a single one. 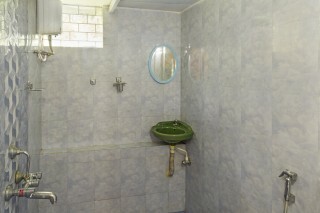 There are two washrooms, each tiled and functional. 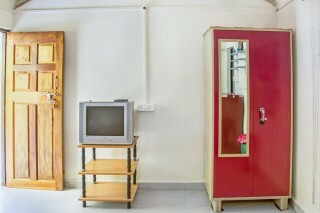 There is also a kitchen that is equipped with the necessary appliances and utensils so you can prepare your own meals. 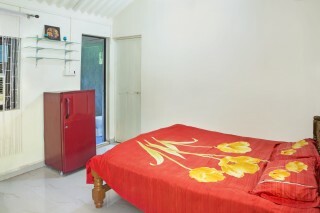 It is a nice and spacious apartment, clean and neatly placed. Modest and simplistic interiors define the subtle beauty of the place. 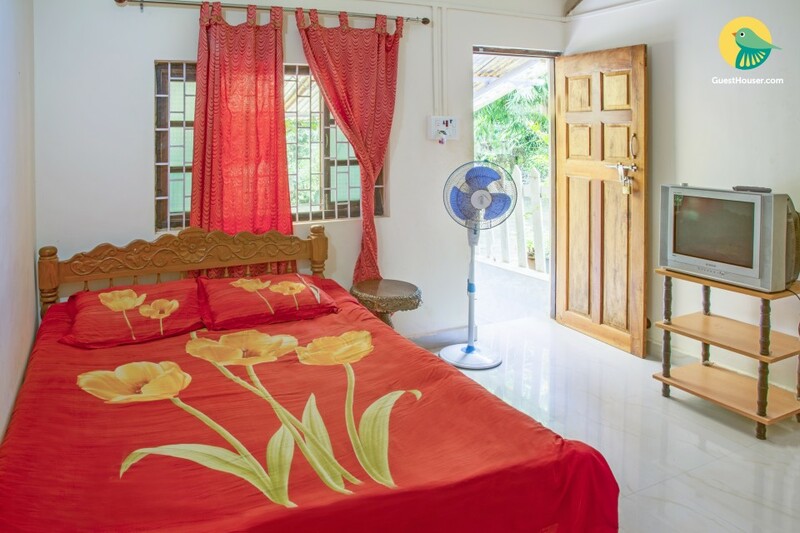 The apartment has 3 rooms and 2 bathrooms. 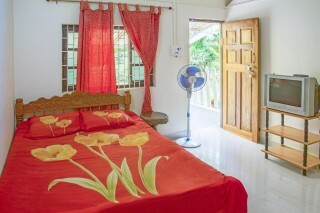 There are simple wrought iron beds in the room and essential furnishings like wardrobe and dresser. 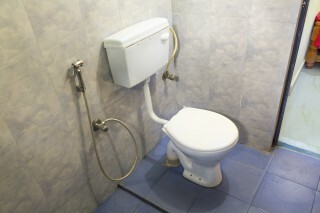 The bathrooms have essential toiletries and a running hot and cold water supply. The kitchen is fully equipped with cooktop, cookware, crockery and cutlery. Provision stores can be found nearby from where daily supplies can be bought. A television with satellite channels is also there in the apartment. Places to visit: Anjuna Beach - 200 km approx. Anjuna Flea Market - 40 km approx. Calangute Beach - 7.7 km approx. Candolim Beach - 10.3 km approx. Baga Beach - 6.3 km approx. Aguada Fort - 12.6 km approx. Chapora Fort - 4.4 km approx. Thivim Railway Station - 20 km approx. Goa International Airport - 43 km approx. Anjuna Bus Stop - 1.9 km approx.